A scarifier or lawn rake will make sure your lawn stays healthy. To create the perfect lawn and let vital nutrients and oxygen in, it needs to be free of unwanted moss and dead matter (otherwise known as thatch). Moss and weeds can grow at a rapid rate and will ruin the look of your lawn. Scarifiers are available in several different forms and which one is suitable, depends on how large a surface it is needed for. 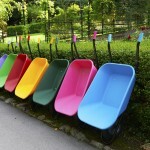 Small lawn rakes are for small patches of land. There are also push along scarifiers, electric powered scarifiers, and petrol scarifiers, which are more suited to large gardens, sports grounds such as bowling greens, and gardens where there is no convenient electricity supply. 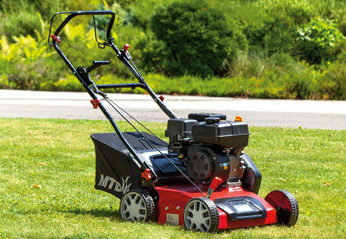 We stock Bosch electric lawn rakers, Lawnflite electric scarifiers & petrol scarifiers, and Viking petrol scarifiers. We stock a variety of Lawnflite, Eliet and Viking scarifiers from electric scarifiers and verticutters, which are suitable for smaller lawns, to a petrol model for larger grounds. Petrol models benefit from being cordless, as they do not require an electricity supply. Enquire online to talk to one of our specialists or visit us at one of our 19 country stores in the South East and East Anglia. The Bosch electric lawn rake offers the perfect solution for dealing with moss. It benefits from spring steel tines, which works to smoothly comb out moss and thatch or leaves to help your lawn breathe. If you want to get rid of moss, the best idea is to tackle it with a moss treatment first, then rake out the debris. 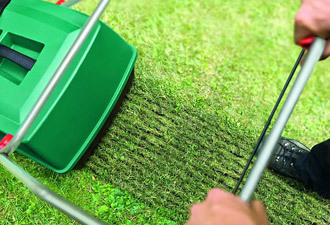 The Bosch electric lawn rake does the job quickly and efficiently. See product details for more information or alternatively you can enquire about this range to speak to one of our specialists.